Terry's Terror created by Earnest Lock & Dr. D C Terry. The Terry's Terror dry fly was created by Earnest Lock and Dr D C Terry. It fishes well when olives are on the water. Although Terry's Terror certainly does not look anything like a natural olive Terry's Terror is simply a fly that works and catches fish. For the more adventurous among you we have provided tying specifications for the Terry's Terror. Remember at The Essential Fly we sell the Terry's Terror at incredible prices with a top quality fly and service to back it up. 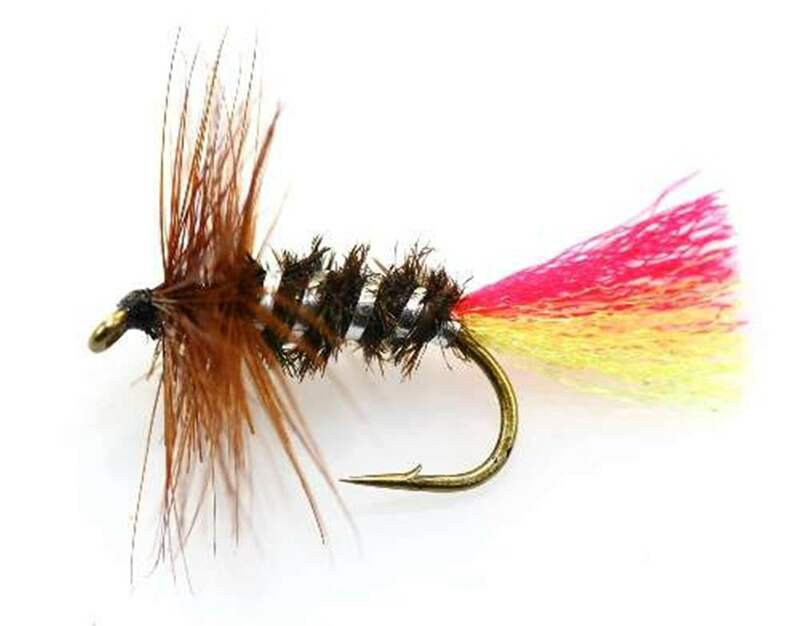 It is certainly worth tying the Terry's Terror yourself to understand the pleasure of catching a fish with your own tied fly, however at the price we sell flies it is only worth tying one or two Terry's Terror as your can spend more time fishing instead of tying flies - buy volume online with us. good quality, eye catching, yet to use. very pleased with the service provided buy yourselves. Being called Terry myself, this fly attracted my attention. The quality is superb and very good value. I have yet to test it's catching power. Buying from The Essential Fly Company is a very pleasant experience and I will use them again.